WWE's NXT brand debuted as a concept way back in 2010. The inaugural season was a pseudo-reality based series in which independent wrestlers were assigned "mentors" from WWE's main roster and competed in a series of challenges and matches, as competitors would be voted off, week by week, until a winner was crowned. The star of the show on NXT season one was the former Bryan Danielson, the newly monikered, Daniel Bryan. Bryan's immaculate body of work on the independent scene particularly in Ring of Honor wherein he reigned as ROH World Champion for a mammoth 462 days, was ridiculed on the air by WWE's announce team, particularly Michael Cole who was Vince McMahon's mouthpiece for the show. The Cole ridicule led to a couple of white-hot angles in which Bryan castigated the ignorant Cole and stated he had more talent in his little finger than the announcer had in his entire body. A furious Bryan lamped Cole and had to be forcibly restrained as Bryan also lunged at The Miz, his own mentor, who had famously mocked him also. Bryan lost all six of his matches on NXT as WWE sought to erase his reputation but the hugely talented Bryan got over big with WWE's audience and the company would be forced to re-evaluate it's opinion of him, which is why he remained on the payroll, despite being the first man to be eliminated from the competition. England's Wade Barrett would be the winner of season one of NXT and would use the notoriety he earned to establish the Nexus; a rogue group of NXT rookies who took the main roster WWE by storm, at least initially. 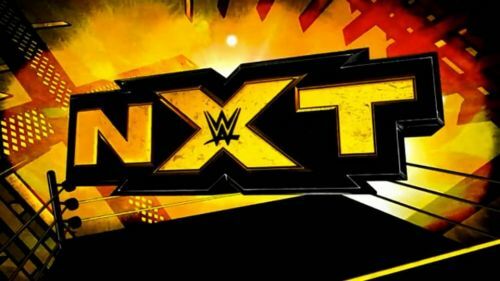 The subsequent two seasons of NXT followed the same format until the brand was given an overhaul as the unofficial third brand of WWE, which also played a key role in the seasoning and development of future WWE stars. Many huge WWE names have come through the NXT system such as The Shield, Finn Balor, Bray Wyatt, Drew McIntyre, Sami Zayn and Kevin Owens. In 2018, NXT is a hugely popular brand and possesses many fans that do not watch WWE's main roster shows, Raw and Smackdown. While the brand goes from strength to strength, SK looks at five current NXT superstars who are likely to break out and achieve success on the main roster in 2019 and beyond. The small and slender Johnny Gargano is not the typical type of wrestler that WWE likes for its main roster superstars. However, Gargano has proven himself to be so talented between the ropes and adept at playing both heel and face, it is impossible to think that he will not receive an opportunity on WWE's main roster. The 31-year-old Gargano has been wrestling professionally since 2005 and is an extremely polished act. With no more seasoning needed, he could conceivably be called up tomorrow if WWE so desired. After spells wrestling for acclaimed independent leagues such as Chikara, Dragon Gate, Evolve and Pro Wrestling Guerrilla, Gargano received his big break when he was granted a WWE tryout in June 2015. He signed full time for the company in April 2016 and ever since then has been one of the standout performers for the NXT brand. Gargano's NXT Tag Team Championship winning team with Tomasso Ciampa resulted in Ciampa turning on him which kicked off an epic feud between the two men over the NXT Championship. Ciampa eventually triumphed in their feud which left many wondering what Gargano would do next after failing to wrest the belt away from Ciampa after numerous attempts. The likeable baby-face was shockingly turned heel when it was revealed he was Alesteir Black's mystery attacker on the October 24, 2018 episode of NXT. With a refreshed new character direction and feud with Black, Gargano is set for a white-hot run in NXT in the early part of 2019. However, a subsequent call-up to the main roster must be on the cards after that. 2019 should be Gargano's opportunity to sink or swim on the big stage.